Padstow, the famous harbour town and culinary centre, is just a short drive away from Harlyn Bay. 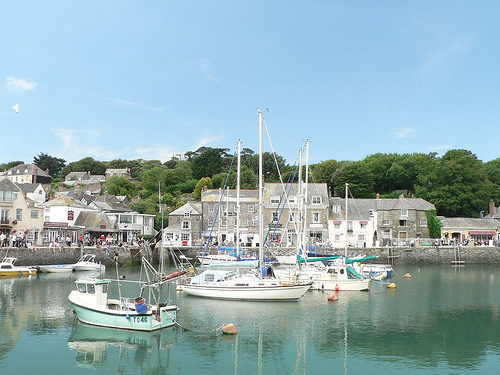 Padstow is a great place for an ice cream, a pasty, or some sea food. Rick Stein's famous Seafood Restaurant is here (there's also a Rick Stein fish and chip shop if you don't have a reservation!). Click on the links below for more information about the town's numerous attractions. Padstow estuary in February 2019!